Allegra Boverman/Gloucester Daily Times. Crews from several companies installed the new bathrooms at Newell Stadium on Thursday. 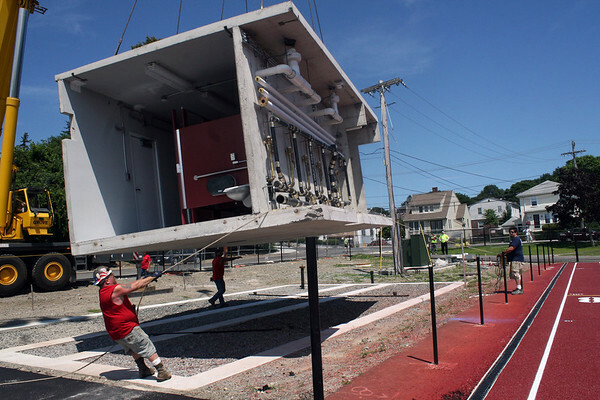 The building came prefabricated in four large cement pieces from Connecticut. Working at left is electrician John Parker of United Concrete Products of Wallingford, Conn. And at far right is Ray Smith, also of United, a finisher.